Christine leads work on Gender Based Violence amongst young SRPF ambassadors in Sénégal, whom she represented at the International Conference on Family Planning in RWANDA, Kigali, in 2018. As well as this, Christine is the women’s leader of AFRIYAN/girls in Senegal. Christine’s passion in life is volunteer work, and as a volunteer for Corps Africa Sénégal Christine has been assigned to remote regions within her country to assist women and girls in local communities with their most urgent needs. At the moment, Christine is based in Maleme-Hodar. Gender Based Violence, child marriage and Female Genital Mutilation in Sénégal as well ensuring greater access to information for young girls. Christine is committed to the protection of children with the association of Senegalese Juristes, and specifically works with children with cancer. "Each society is faced with problems that require the primary involvement of its inhabitants. Community leaders must find their role in helping their community become conscious of the issues that women and girls face. In the future I want to be remembered as a player who changed the world by helping her country realise the importance of empowering women and girls. 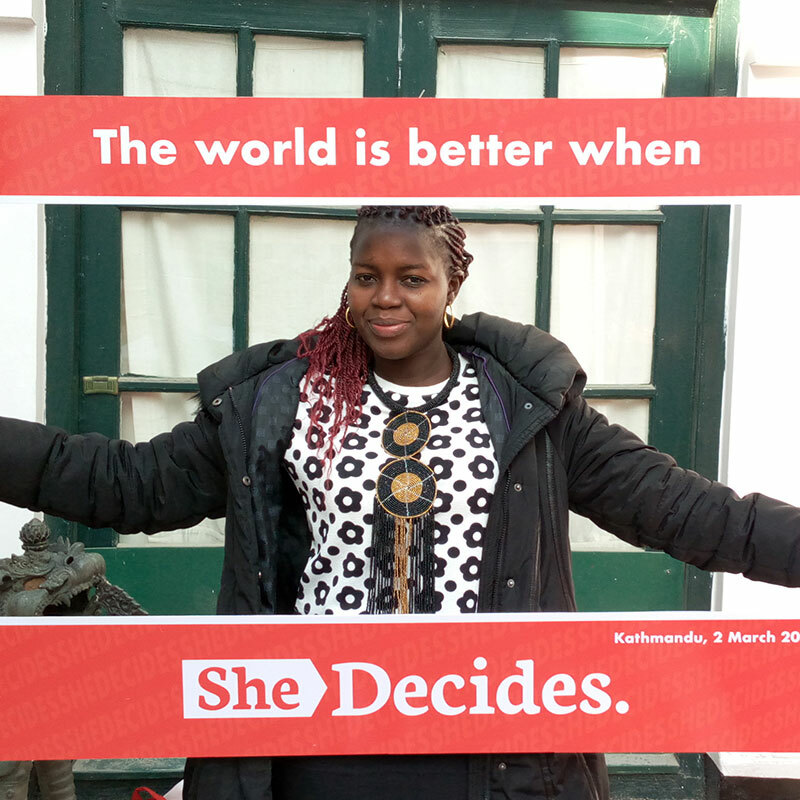 It will be said that she was leader of SheDecides, and a 25x25 for real."